The Background For a long time, the label “Made in China” was associated with fast mass production. The initiative “Made in China 2025” that was decided on in May 2016 is China’s way to strike back. By setting ambitious goals, China wants to become the “Industry Superpower” that convinces by innovation, quality, efficiency and effectivity. To reach these goals nine main tasks were identified; focusing especially on improving manufacturing innovation, strengthening the industrial base and internationalizing manufacturing. Also, European companies want to benefit from this development. The Deal The Italian Company Camozzi S.p.A., one of the leading Pneumatic components manufacturer, has successfully acquired 40 % of the equity of its 2 Chinese Joint Ventures Shanghai Camozzi Pneumatic Control Components Co., Ltd. (SCPCC) and Shanghai Camozzi Automation Control (SCAC) of the Chinese shareholder Shanghai Automation Instrumentation Co., Ltd (SAIC). By completing the transaction, Camozzi S.p.A. is the sole owner of both companies and the Joint venture agreement has ended. The equity transfer was executed in the record time of ten months. The Client Camozzi S.p.A. was founded in 1964 by the three brothers Attilio, Luigi and Geromino Camozzi. Since its beginning the focus was on manufacturing components for industrial automation. The first branch was set up in Germany in 1980. By now Camozzi operates globally with 21 office, employs more than 2,300 people and has developed sales networks in more than 70 countries. As a result, Camozzi S.p.A. is one of the Top 10 companies in this field respectively. The Perspective After the nearly 30-year partnership with SAIC, Camozzi China is now one of the most important overseas manufacturing base for the Camozzi Group. This development was in particular accelerated by the initiative “Made in China2025” and the resulting increasing importance of automation for all industries in China. Also in the future Camozzi will invest in Chinese companies in order to expand its own product portfolio. IEG-Kratos has played a crucial role in this transaction by building a bridge of trust. As a SOE, we have to follow a rigorous equity transfer process in compliance with SASAC’s regulations. Our challenge was to explain this to our Italian partner to gain trust and support. I was amazed by how they were able to translate our constraints into international references and execute it. 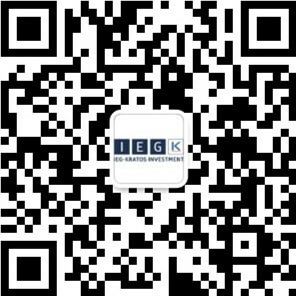 IEG-Kratos has played a very critical part during executing this transaction especially by bringing trust to both parties. Their knowledge and culture ability provided great comfort for Camozzi as well as SAIC. Robert and his team managed not only an efficient execution of every process detail but they also connected the cultural and mindset gap very smoothly.